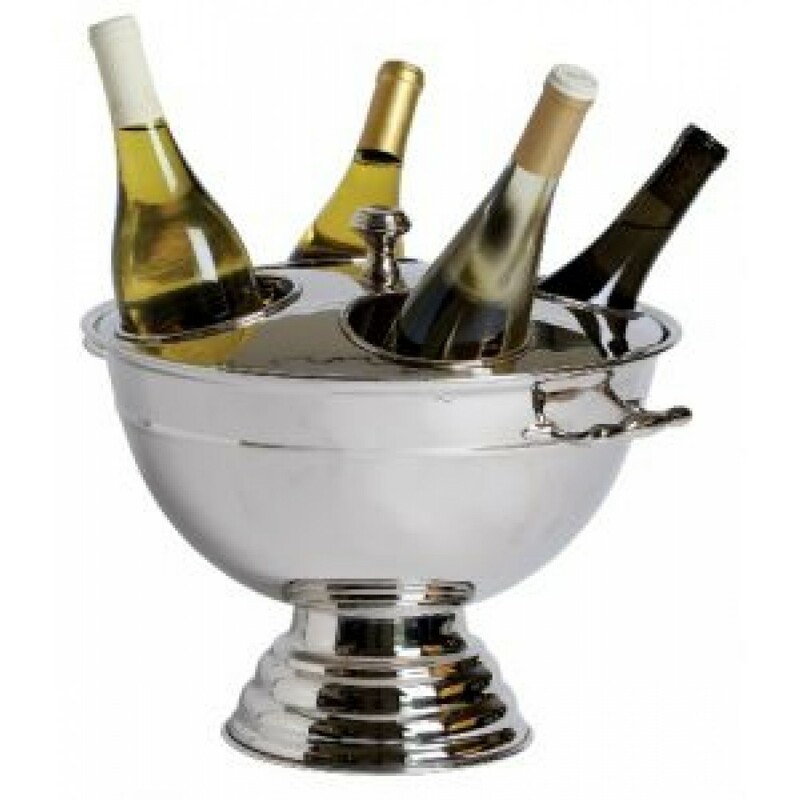 This high-polished heavy duty stainless steel cooler keeps bottles in direct contact with ice. Four bottles are held in position by the four-cavity lid. 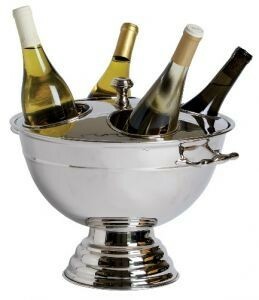 This versatile piece (without the lid) can double as a punch bowl, salad bowl or fruit bowl. Sturdy handles. Pedestal base. 8 quart rim-full capacity. Stands 12 inches high (with lid knob),15-1/2 inches wide (at handles), 13-1/2 inches (dia.across top). Imprint area on lid: 2 inches x 2 inches on side: 2 inches x 1 inch. Metal Laser engraving available.